Only 25 have been made - 15 are coming to MK Inc! I just got this keyboard and it is a very nice keyboard. The balance on it is very good and it doesn't wobble at all. I got it with brown switches and the keys feel very nice. Everything about the keyboard is very good except that is doesn't have an escape key, so that I have to press (FN `) which is not a very big issue. Would recommend this keyboard because it is very good and super nice quality for the price. 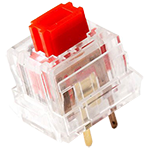 This is a brief review of the KBP V60 with Fukka (Fuhua) white simplified Alps-type switches. 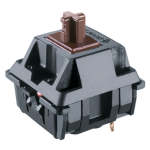 KBP is to be congratulated for producing keyboards with a wide selection of switch types, thus breaking the monotony of Cherry mx and clones. 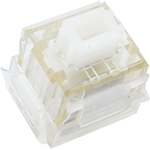 The Fukka white switches have pronounced tactility, with the tactile event occurring near the top of the displacement. They are also very loud. Typing on this keyboard is reminiscent of typing on a V60 with Matias Click switches. 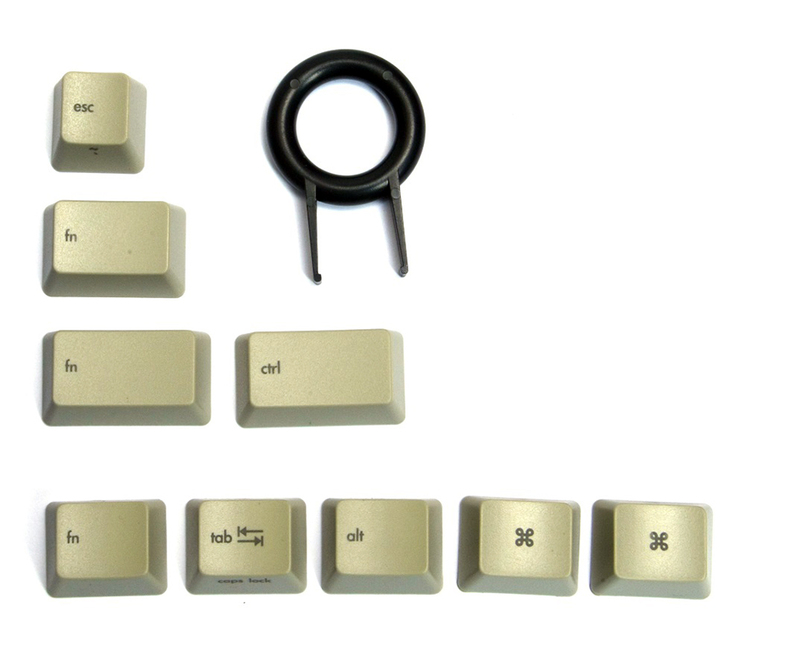 Although I prefer vintage Alps switches, the Fukka and Matias offerings from KBP give keyboard enthusiasts the opportunity to have an Alps-like typing experience in a compact keyboard with brand new switches. The board has a selection of DIP switches for modifying the layout to some extent, but I would urge KBP to make all of their keyboards %u201CType R%u201D, which provides complete programmability of all of the keys. I would also like to see no LEDs as an option on all of their keyboards %u2013 although backlighting could be useful, %u201Cunderglow%u201D is not something I need or want. Fortunately, the V60 Fukka model has only a single LED %u2013 the Caps Lock indicator light. The two-tone color scheme lends a retro look to this keyboard, but the legends on the keycaps are too small. 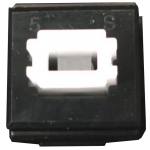 In addition, the caps fit too snugly to the switch stems, making them difficult to remove. 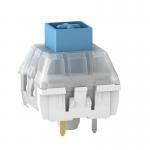 Stabilized keys use wire Costar-type stabilizers, which provides excellent stabilization without any mushiness. Overall, I give this keyboard 4 out of 5 stars. 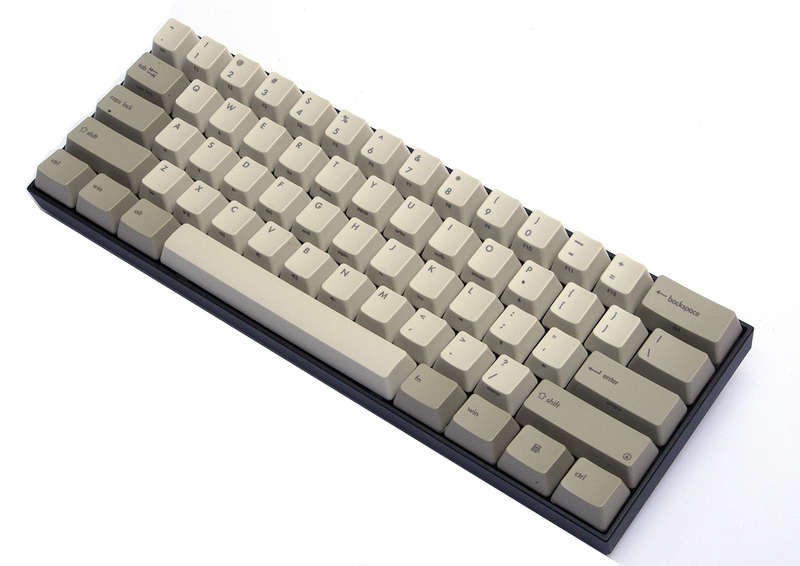 This is a brief review of the KBP V60 with Fukka (Fuhua) White Alps-type switches. My favorite form factor in a keyboard is 60%, and my favorite layout is HHKB. I can achieve the layout with the V60 by using a Hasu USB-USB converter. Fortunately, the Right Ctrl key can be remapped to serve as my Fn key. I generally prefer tactile/clicky switches, and the Fukka White switches in this keyboard certainly provide ample servings of both. 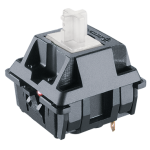 These switches are quite loud, and they are rich in tactile feedback as well -- similar in sound and feel to Matias Click switches. The two-tone keycap scheme provides a retro look, but I find the legends too small. 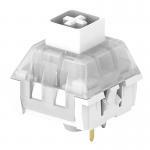 In addition, the caps are extremely tight-fitting, making them difficult to remove. 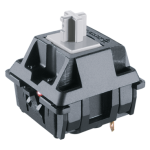 KBP is to be congratulated for producing keyboards with Alps-type switches, which is a welcome change from the monotony of Cherry mx. I would like to see them produce completely programmable models (Type R) with Matias, Fukka, and Datacomp Alps switches, but without LEDs. Currently, through Mechanicalkeyboards.com, they offer Type R boards with Matias switches, but thus far, these are the "Polestar" model, which has "underglow" LEDs that I neither want nor need. 4 stars for now; could be 5 stars if KBP were to step up with my wished-for features.